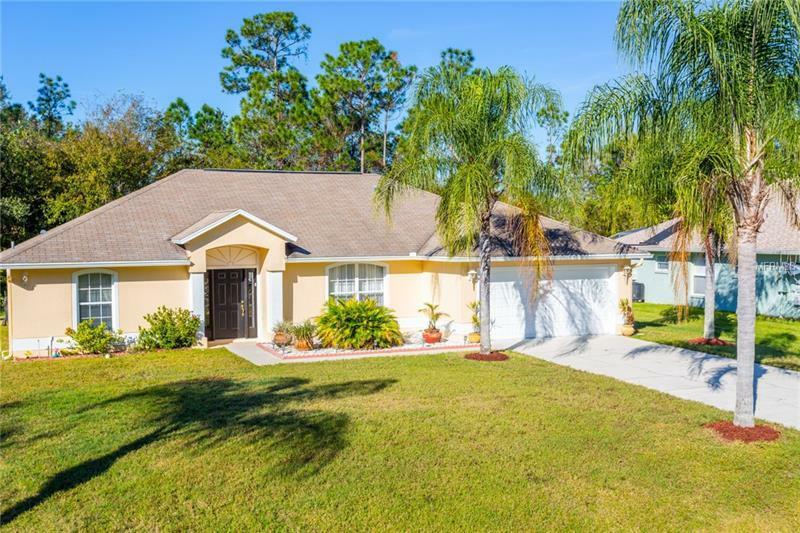 Come view well maintained, beautifully furnished 3BR/2BA pool home with excellent short term rental history. Large tiles throughout home. Light, open kitchen with nice cabinetry, counter tops and eat in kitchen. Master bedroom with ensuite, double vanity, garden tub and separate shower. Two additional bedrooms nicely furnished. Large dining room seating for eight. Inside laundry room with cabinets. Beautiful pool and deck area with nice backyard. A must see!! Pet Restrictions: CHECK WITH HOA AND COUNTY FOR RULES AND REGULATIONS. Copyright © 2019 Mid Florida MLS. All rights reserved. The data relating to real estate for sale on this web site comes in part from the Internet Data Exchange Program of Mid Florida MLS. Information provided is for consumer's personal, non-commercial use and may not be used for any purpose other than to identify prospective properties consumers may be interested in purchasing. JC Penny Realty participates in the MFRMLS Internet Data Exchange (IDX) program, allowing display of other MFRMLS broker's listings on this site. However may not include all listings currently available. Information is deemed reliable but not guaranteed. Information last updated at 2019-04-18 19:08:32.